Although I've seen sporadic reports of forced Windows 10 upgrades appearing out of the blue for several weeks now, the complaints really started piling up Friday evening. More and more Windows 7 and 8.1 customers are complaining that Microsoft upgraded their computers to Windows 10 -- and they didn't do anything to bring it on. For some people, that's a nuisance. For others, it's considerably more than a Microsoft "accident" like the kind we saw last October. "I needed to set up my department's bronchoscopy cart quickly for someone with some sick lungs … when I turned on the computer it had to do a Windows update." "Saw this message box that said something like 'Your update is ready! Restarting and installing in 13 minutes.' If I made myself a meal or watched TV, I would have had Windows 10. Oh, and the best part is how they hid the Decline button in the More Info button." "I thought my ex was crazy when she said her computer just randomly rebooted and started installing Windows 10. I guess she isn't crazy -- at least on this one thing." "Yep, this happened to me this morning. Working, and all of a sudden Windows closed all my programs, logged me out, and started the upgrade. I quickly shut down my computer and was able to stop it, but my son wasn't so lucky. Same thing happened to him today. It is very concerning that they have this kind of access to push these updates without our consent. What else is being pushed through our computers or being pulled off in the background without us knowing?" "We've been getting calls trickling in all week from doctor's offices, dental practices, B&Bs, and roofing companies -- among others -- that have been hit by this and it's a ******* mess. In some cases the upgrade went OK and the user is just really confused. In others Windows 10 is asking for a login password the user set years ago and hasn't used since; that was fun. In still another it's screwed up access to their shared folders. I'm >this< close to telling the techs to disable automatic updates completely for all business customers." Those are the more printable versions. It's easy to dismiss claims like this as the result of newbies playing where they shouldn't be or occurrences brought on by mishandling of Microsoft's precious settings. That's balderdash. Nothing could be further from the truth. I myself was bitten on Saturday morning -- and what I discovered has me spitting nails. A couple of weeks ago, I built a test Windows 7 Pro virtual machine using Hyper-V in Win10. I brought it from SP1 through all of the updates (a long process), not checking or unchecking any options. It's a clean machine, with all the defaults. Windows Automatic Update, for example, is set to Install Updates Automatically (Recommended). Recommended updates is set to "Give me recommended updates the same way I receive important updates." Friday night, I cranked the PC up and saw the GWX icon -- the one that says Get Windows 10 when you hover over it -- in the system tray. It's an old sore point. I've been writing about the GWX icon for a year now, ever since Microsoft surreptitiously released the KB 305583 Get Windows 10 patch last April. Windows 10 upgrade checked and ready to run. Looking at Windows Update (Start > Control Panel > System and Settings > Windows Update > Check for Updates), I saw that the Upgrade to Windows 10 Pro, Version 1511, 10586 box was checked (see screenshot). It's in the Optional category, and it isn't italicized -- which normally means it isn't a recommended patch. Of course, this is a Win7 Pro test PC. The last thing I want to do is change it to Windows 10.1 (er, Windows 10 Version 1511, Build 10586). I unchecked the box, signifying that I didn't want to install the upgrade. I left the PC running overnight. On Saturday morning, I woke up to a notice that Windows 10 couldn't be installed (see screenshot), failing with an error 80007000E-2000C. Of course, I hit the roof. I hadn't given Microsoft permission to install Windows 10. I'd even gone so far as to uncheck the update. Usually error 80007000E means one of the installation files is scrambled. Sure enough, the C:\Windows\SoftwareDistribution folder has 1.7GB in it. When I ran Check for Updates, the old Upgrade to Windows 10 Pro, Version 1511, 10586 is listed, and its box is checked. Windows Update now tells me "Upgrade to Windows 10 / Start installing the newest version of Windows now." The only button on the dialog is Get Started. If this were a real, working machine, I would've run GWX Control Panel long ago to keep the Win10 crap off my PC. But it's a test PC, and I don't want to flip those bits. I even left Automatic Update set to its default -- which I never do in the real world. I then unchecked the Upgrade to Windows 10 Pro, Version 1511, 10586 box again. A couple of hours later, I checked the Optional updates and, sure enough, Upgrade to Windows 10 Pro, Version 1511, 10586 was checked again. After experimenting a bit, it became apparent that Windows Update itself checks that box every time it's run, whether "Give me recommended updates the same way I receive important updates" is selected or not. I don't recall ever seeing Windows Update act that way, and I've been watching Windows Update for a long, long time. I unchecked the upgrade line one more time and left it alone overnight on Saturday. When I got back to the PC on Sunday morning, the Upgrade to Windows 10 Pro, Version 1511, 10586 was checked, but Windows Update hadn't tried to run the upgrade. Instead, it sported that cheerful “Upgrade to Windows 10” invitation (see screenshot) that you've no doubt encountered. The Upgrade to Windows 10 Pro, Version 1511, 10586 entry is still in the Optional list, and it's checked once again. My guess -- it's only a guess -- is that Microsoft had a change of heart on Saturday and stopped forcing Windows 10 down the throat of every Win7/8.1 customer with Automatic Update turned on. I say that because the descriptions of forced upgrades on the Web vary all over the place. Some people say they were never asked for permission (as was the case for me on Friday night). Others say a EULA appeared with no explanation. Still others say they were given a variable amount of time -- 10 minutes, one hour -- to respond, or their PCs would automatically get the Windows 10 payload. I say it's only a guess because Microsoft doesn't document any of this stuff. 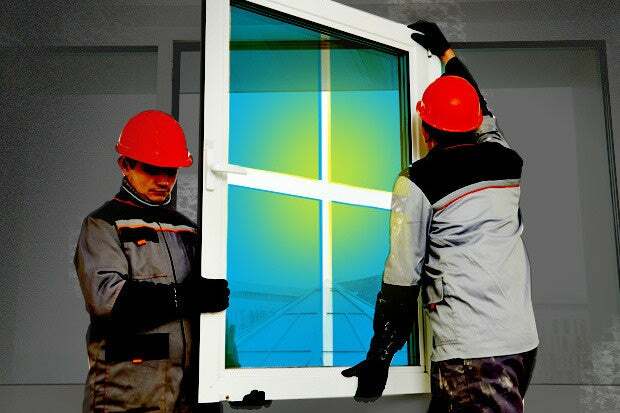 The only documentation I've found is Mary Jo Foley's post on ZDnet from Friday, “How existing Windows users can refuse Microsoft's Windows 10 update.” My experience, and the experiences of many on the Web, vary greatly from Foley's claims. I never made a reservation for Windows 10. I wasn't "clearly prompted" before Win10 started its installation. I wasn't offered, and certainly didn't accept, a Windows 10 EULA. I received no notification that my PC is scheduled to be updated -- not three or four days prior to the dirty deed, and not prior to the installation proceeding. I wasn't offered a chance to reschedule or cancel. It must be emphasized that Foley uses both Win10 and Win7 -- and she doesn't intend to change OSes on the Win7 PC until it keels over. She's not at fault. Microsoft's not even communicating with one of its best-known allies. I tried the experiment again on Sunday, this time running the update manually. Windows took a long time to download the bits, and I was then offered the “Great, we'll get the upgrade started” dialog you see in the screenshot. I was subsequently offered to set a time for the download. The sequence on Sunday is very, very different from the sequence I experienced on Friday night (where no input was required) and very different from many descriptions on the Internet. I can only surmise that things hit the fan in Redmond, and damage control was in full force by Sunday. It appears as if corporate users behind Windows Update servers were spared the indignity -- although many admins set their update servers to pass through recommended updates, and it looks like this was passed on to some domain-joined PCs as if it were a recommended update. There's no KB number associated with Upgrade to Windows 10 Pro, Version 1511, 10586, thus no documentation, no way to hide it, and no definitive indication to users that it's a recommended update, although anecdotally it behaves that way. Microsoft warned in early February that it would start dishing out Windows 10 as a recommended update, but nobody signed on for this kind of abuse. And we still haven't seen the "hell no" switch that Windows chief Terry Myerson promised back in October: "You can specify that you no longer want to receive notifications of the Windows 10 upgrade through the Windows 7 or Windows 8.1 settings pages," he said then. Perhaps Microsoft forgot. It remains to be seen what the real rules of engagement might be. Microsoft hasn't documented anything, as is its wont. We don't even know if the EULA should appear at the beginning or the end of the installation sequence -- a big consideration for those who don't want to download 3GB of useless data. I have detailed information about recovering from a forced Windows 10 update in a companion post. If you got bit, head over there for a cure. If you haven't been bit yet, make sure you run GWX Control Panel, then turn Automatic Update to "Check for updates but let me choose whether to download and install them."